'Riveting . . . Honnold is neither crazy nor reckless. Alone on the Wall reveals him to be an utterly unique and extremely appealing young man' - Jon Krakauer, bestselling author of Into the Wild. Alex Honnold is one of the world's best 'free solo' climbers, he scales impossible rock faces without ropes, pitons or and support of any kind. Exhilarating, brilliant and dangerous, there is a purity to Alex's climbs that is easy to comprehend, but also impossible to fathom; in the last forty years, only a handful of climbers have pushed themselves as far, 'free soloing' to the absolute limit of human capabilities. From Yosemite's famous Half Dome to the frighteningly difficult El Sendero Luminoso in Mexico, Alone on the Wall explores Alex's seven most extraordinary climbing achievements so far. These are tales to make your palms sweat and your feet curl with vertigo. Together, they get to the heart of how - and why - Alex does what he does. 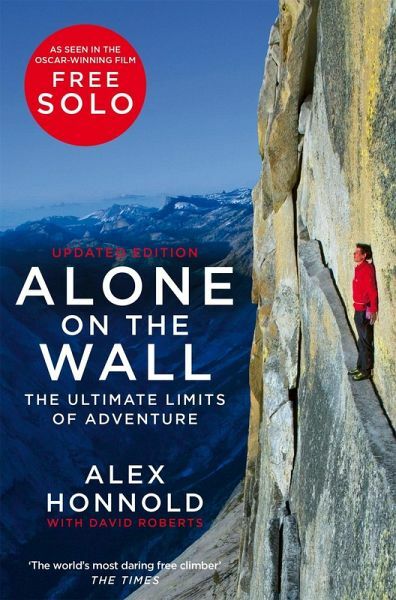 Exciting, uplifting and truly awe-inspiring, Alone on the Wall is a book about the essential truth of being free to pursue your passions and the ability to maintain a singular focus, even in the face of mortal danger.